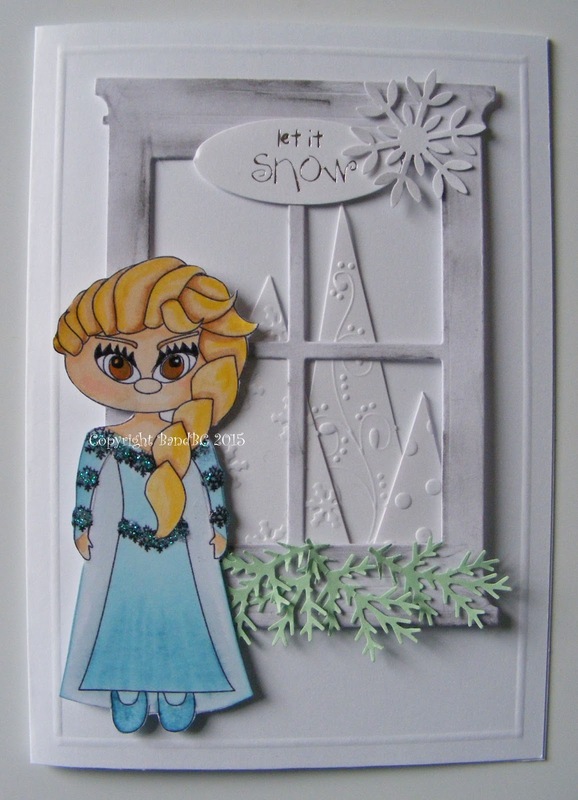 Bright and Breezy Crafts: Let it snow. "use a diecut or punch." but on the snowflakes on her dress, I used stickles glitter for a bit of sparkle. What a gorgeous card!!! Love the embossing on the trees!!!! Thanks for joining us at Cut it Up challenge! I absolutely love the white on white outside the window. 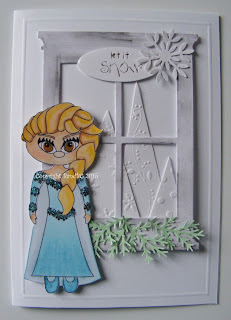 It really looks like Elsa is snuggly warm inside her home while the snow falls softly outdoors.